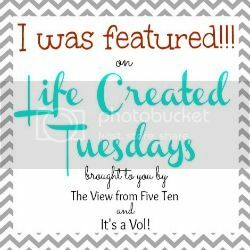 Let's kick off week twenty-three of Life Created Tuesdays with this week's features! 1. 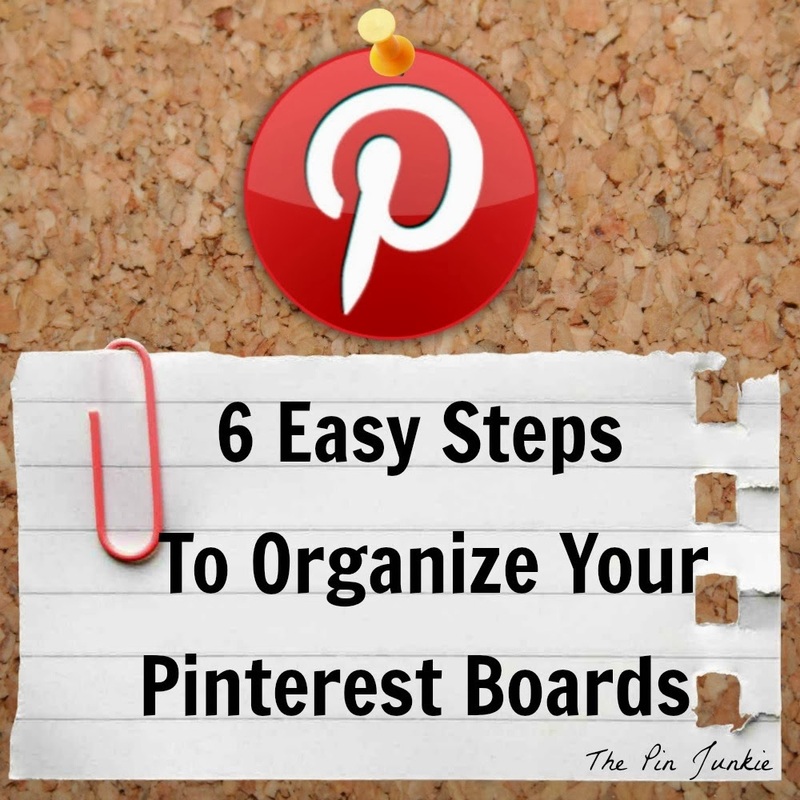 Bonnie from The Pin Junkie shared her clever ways to Keep Your Pinterest Pin Boards Organized! 2. 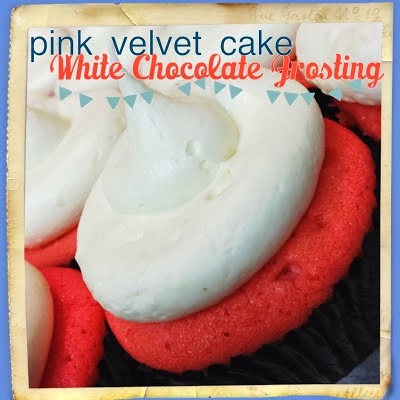 Cassie from Lou Lou Girls shared this yummy Pink Velvet Cupcakes Recipe! 3. 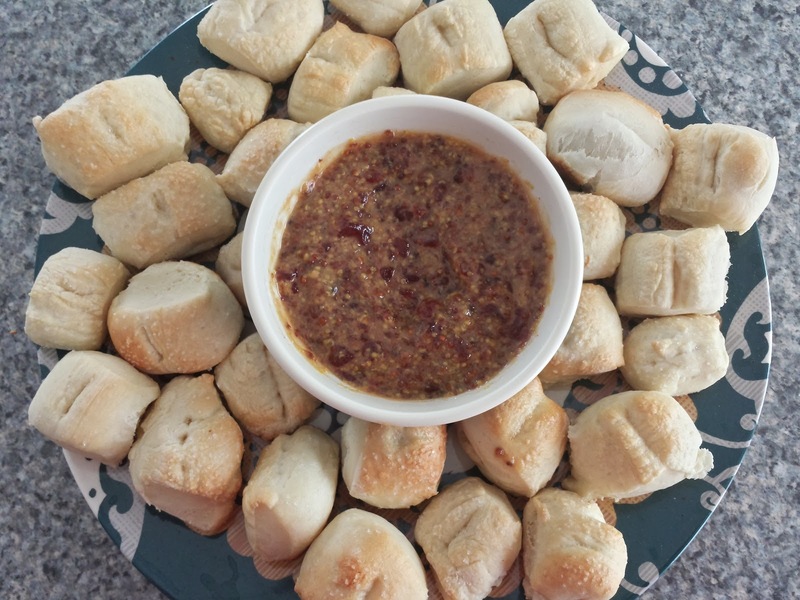 Cathy from Three Kids and a Fish shared these tempting Pretzel Bites and Dip! 4. 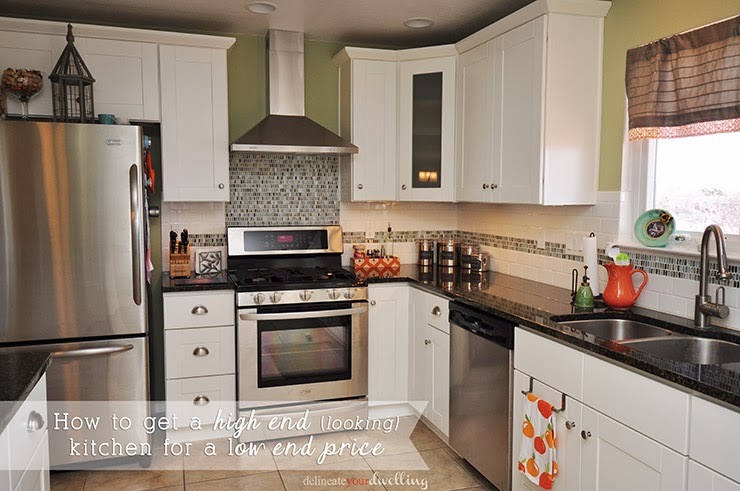 Amy from Delineate Your Dwelling shared the first step in getting a High End (looking) Kitchen for a Low End Price! 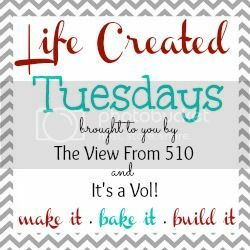 Hooray for Life Created Tuesdays! 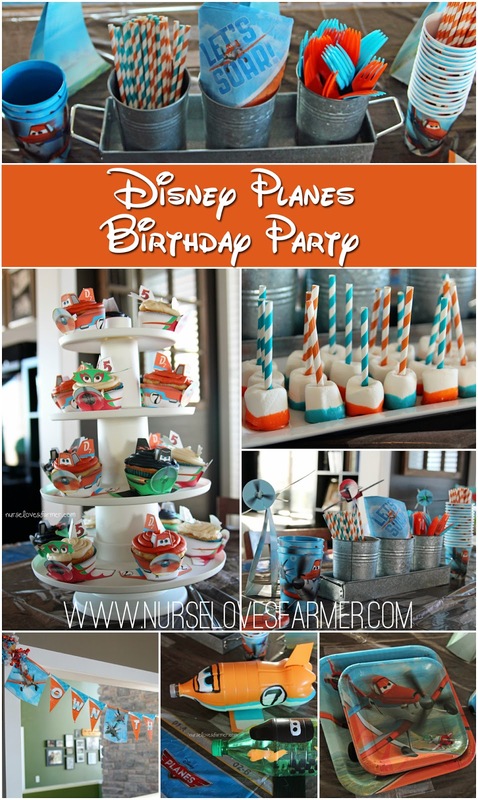 Sarah and I are excited to host another week of this fabulous link party! 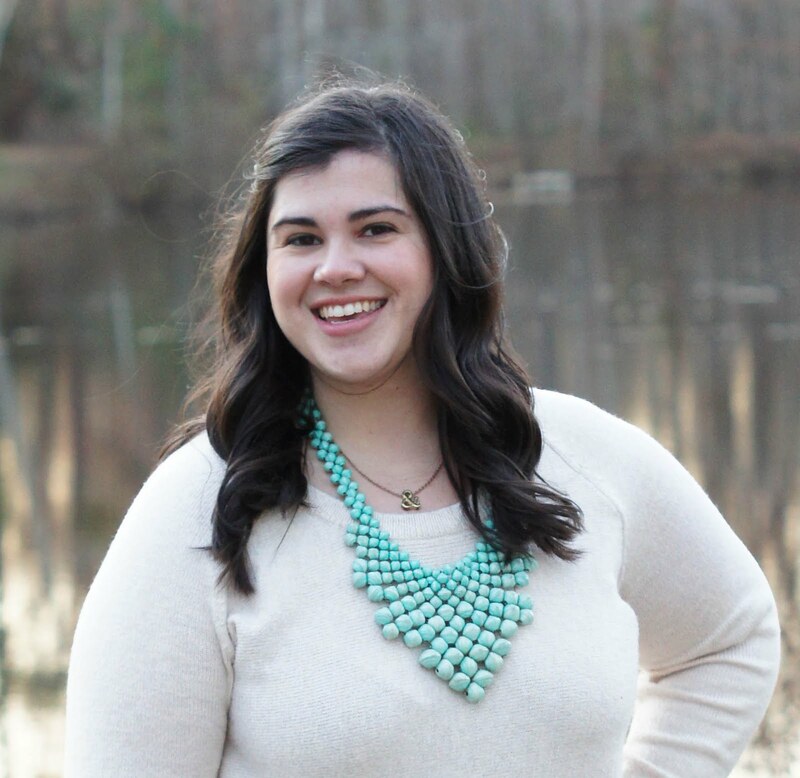 Let's kick off week twenty-two of Life Created Tuesdays with this week's features! 1. 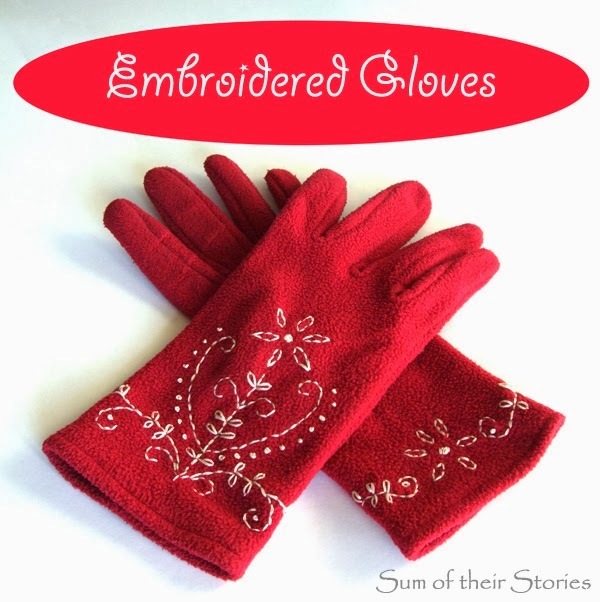 Julie from Sum of Their Stories shared these beautiful Embroidered Gloves. These remind me of Elsa's gloves from Frozen, perfect for a Halloween costume! 2. 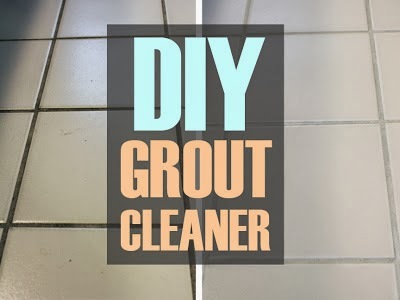 Amber from Lou Lou Girls shared this super helpful DIY Grout Cleaner! 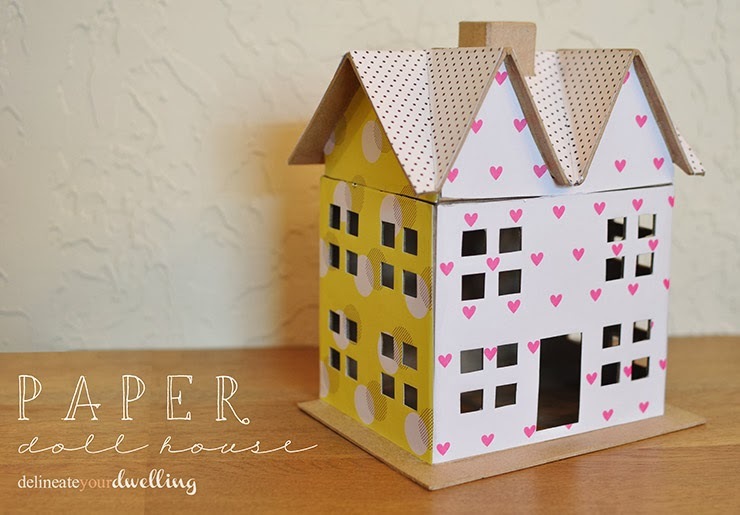 How perfect for all the upcoming Spring Cleaning! 3. 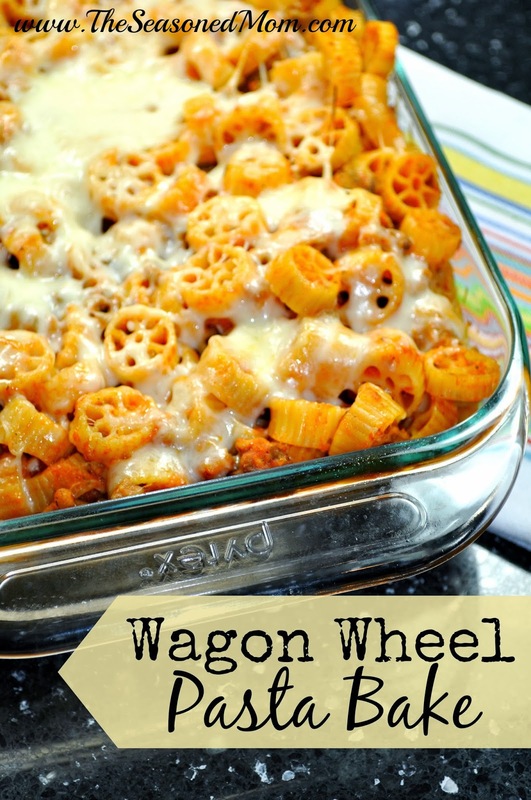 Blair from The Seasoned Mom whipped up this amazing Wagon Wheel Pasta Bake! 4. 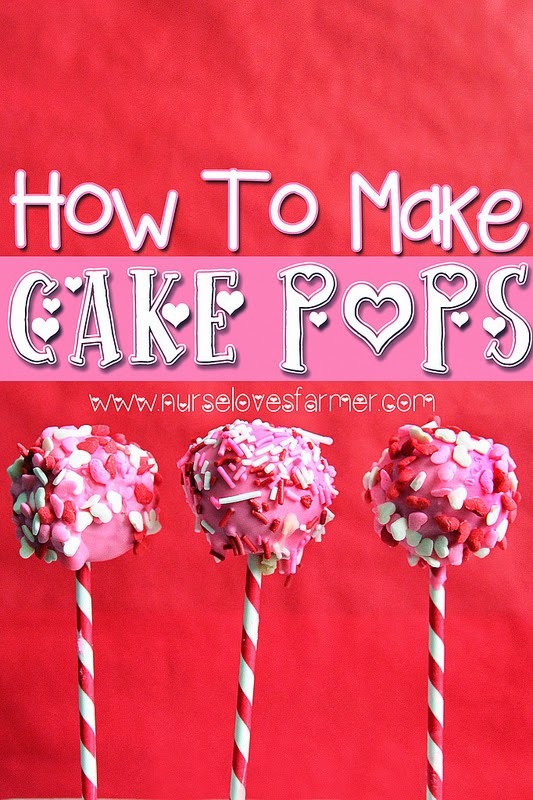 Sarah from Nurse Loves Farmer shared her method for making Cake Pops! 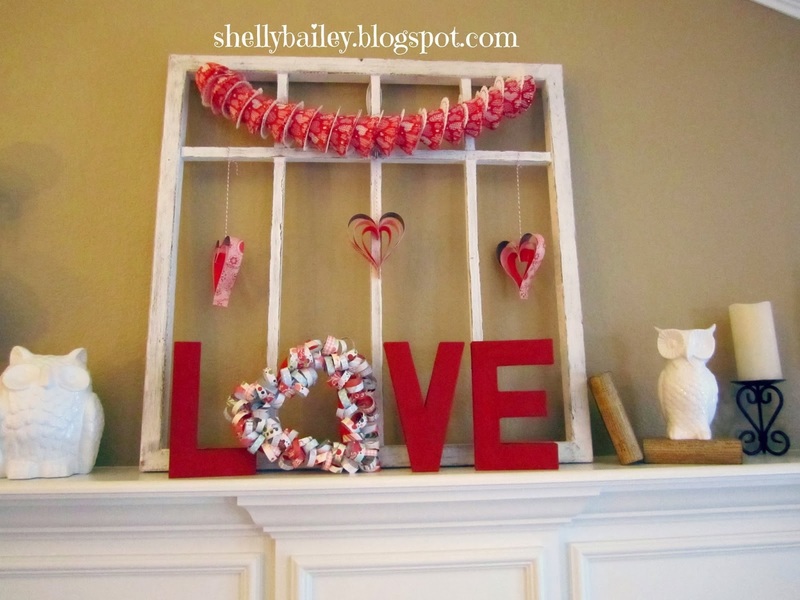 Today's Valentine's Day post was created in partnership with Bi-Lo. All opinions are my own. 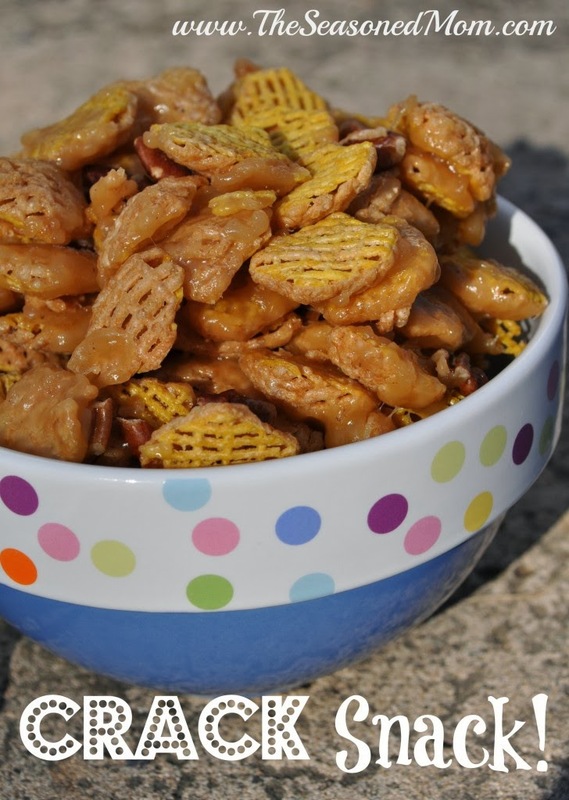 While I may have a sweet treat (or two) already planned out for Friday's Valentine's Day date with the Husband, I sought out a healthier alternative to make with Jackson. 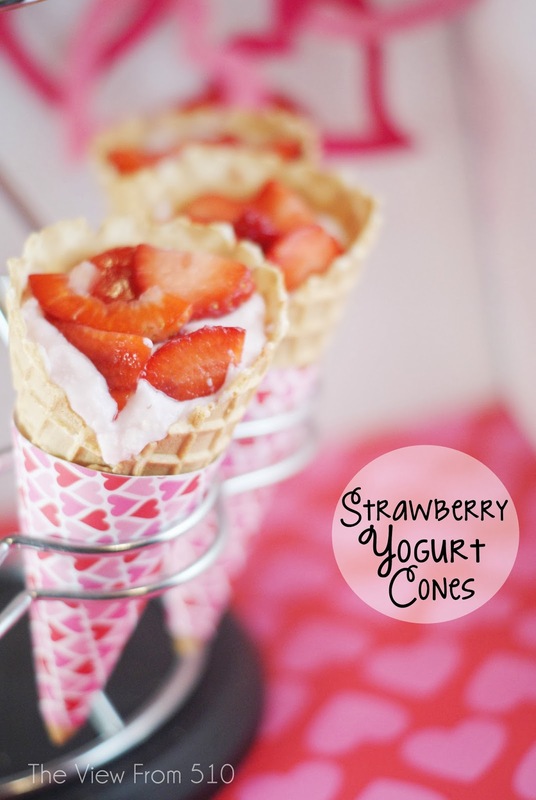 I spotted these Yogurt Cones on BiLo's Pinterest board a few weeks ago and knew he'd love them. In fact, Jackson caught a glimpse of these Strawberry Yogurt Cones on my desktop and just about jumped through the computer screen asking for them. 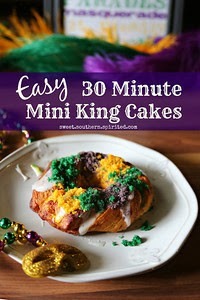 Now that's a must-make treat! 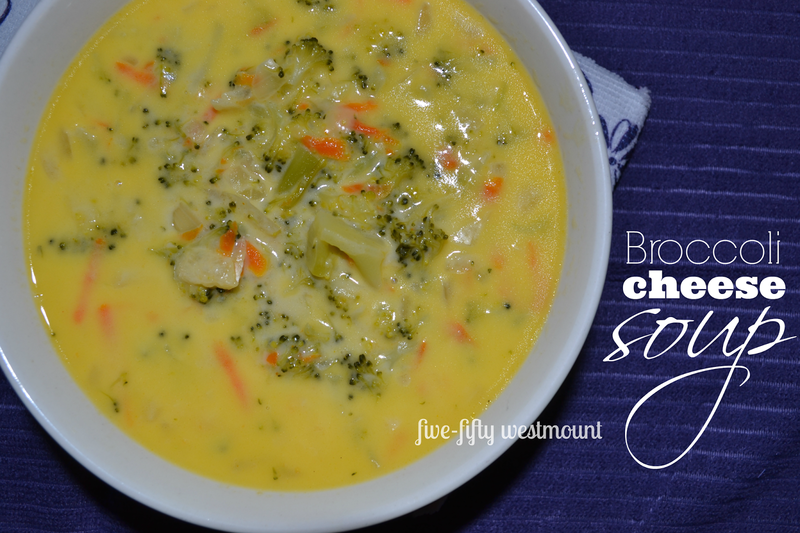 As usual, this is going to be a simple recipe that you can whip together on any budget. 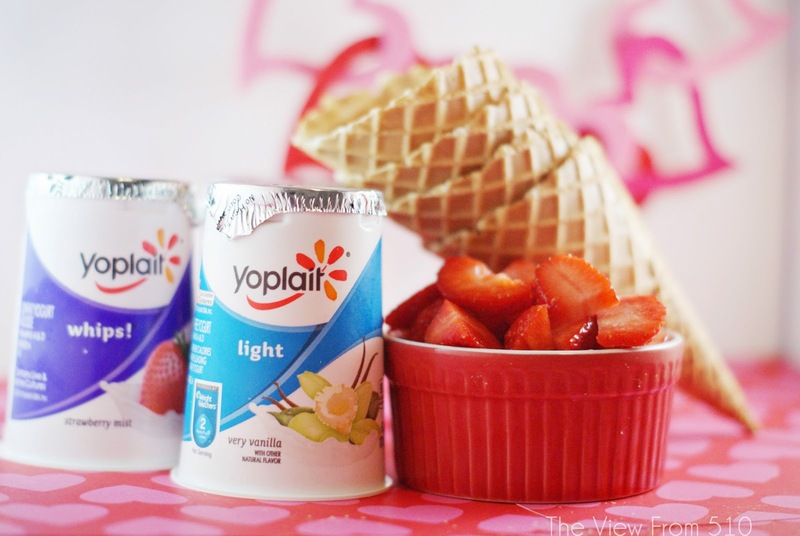 We tested out both regular vanilla yogurt as well as Yoplait's whipped strawberry yogurt. Hands down, I recommend using Yoplait's whipped line of yogurts for your cones. The whipped yogurt held it's form in the cone making much less mess. I don't know about your kid, but anything I can do to lessen the mess around here the better. Decorating & Serving Tip: We emptied out an old spice rack to hold our cones. 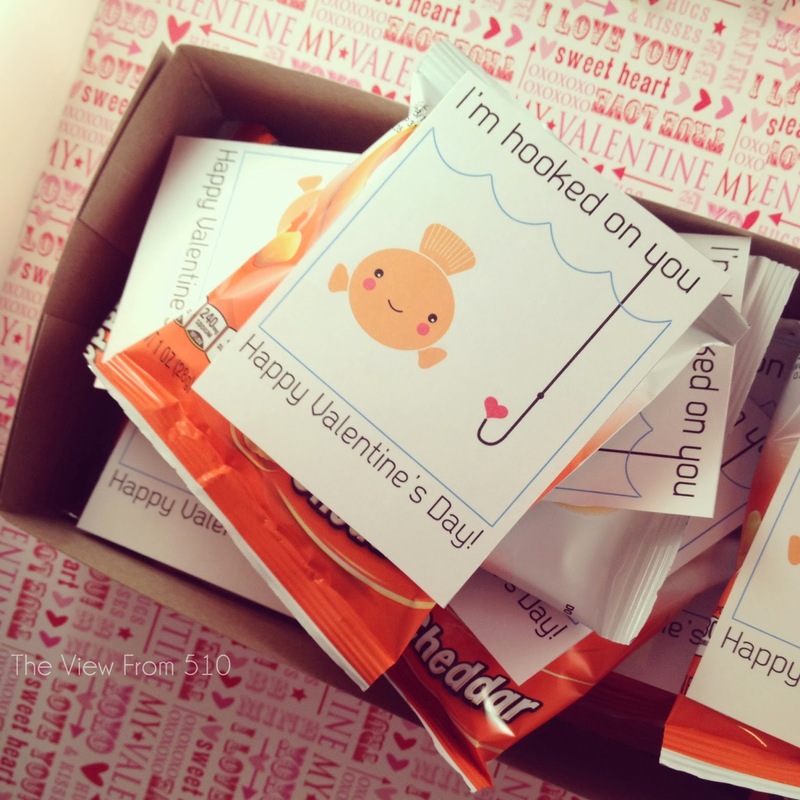 They fit perfectly and helped keep any spilling to a minimum. Also? How fun do they look?! Download this ice cream cone wrapper stencil and use some festive scrapbook paper to dress up your cones. 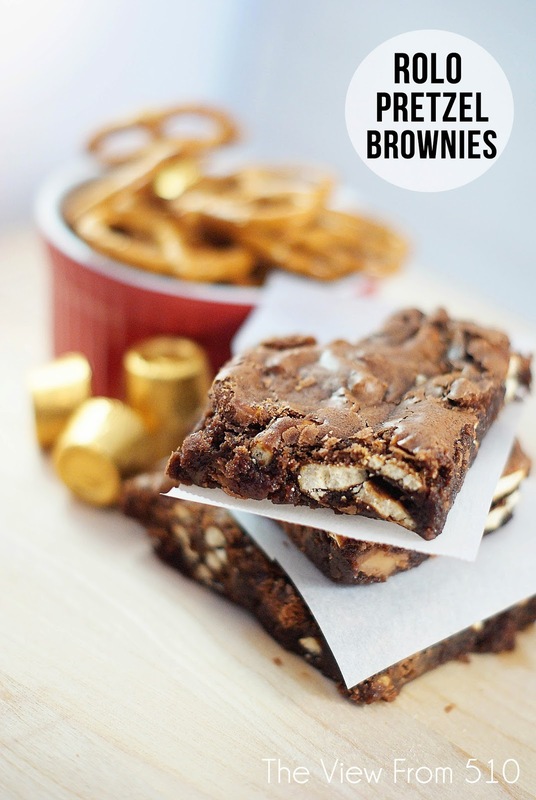 For more Valentine's Day ideas and deals follow Bi-Lo's Valentine's Day Pinterest board and check out their weekly deals to complete your Valentine's Day menus. 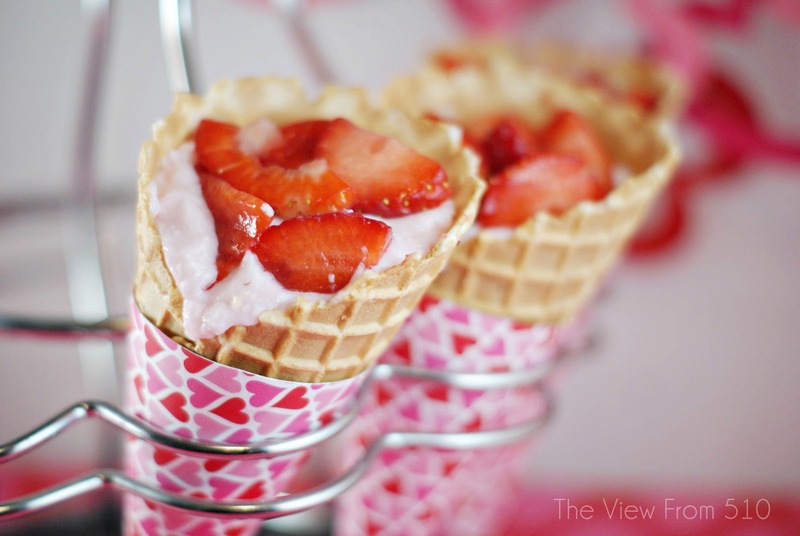 Fill your cone beginning with a layer of strawberries followed by yogurt; repeat. 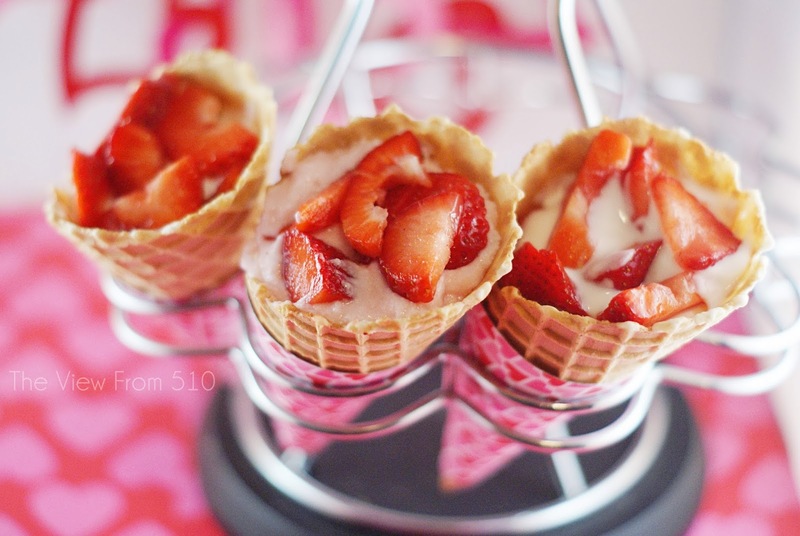 Top your cones off with a last layer of strawberries. Prepare just before serving as ice cream cones will get soggy if they sit too long. Yep, it's that easy! Y'all enjoy! I look back at the bigger picture of this blog from the last year and I see lots of good. 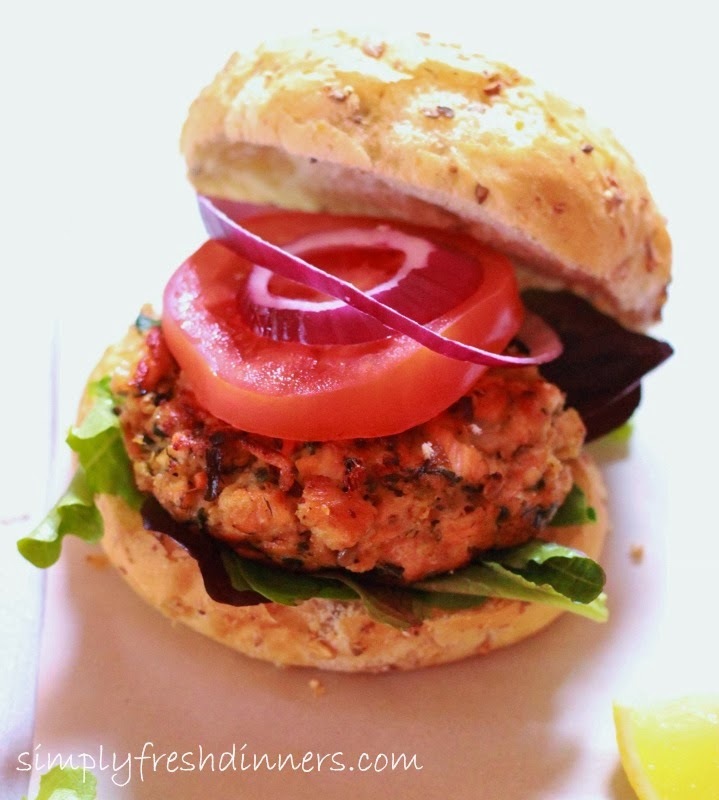 Lots of recipes, memories of travel and of friends and family. Though, the one thing this blog has lacked over the last year in comparison to the years prior are post upon post of updates on Jackson. In case you’re wondering, Jackson will turn three next month and I still use "Baby J" as his label for posts here on this blog. 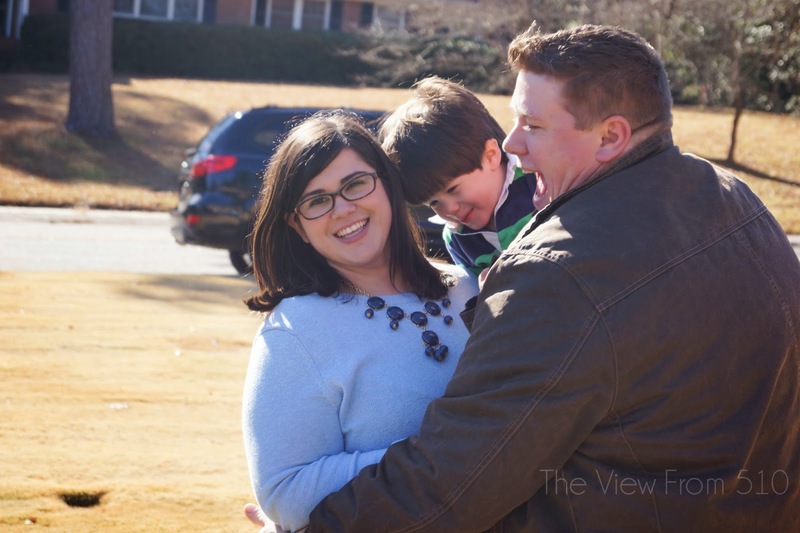 My friends, my dear loyal readers, this year of parenting has been a true test for me and Brandon as individuals, as Jackson’s parents and as spouses. Every morning is a marathon of tantrums and tears to get Jackson dressed and off to school. The nights are filled with more tantrums and tears as we get him ready for bed. He dropped weekend naps a good eight months ago. As for night sleeping? He’s weaseled his way into our bed for the last three months. Somehow, we’ve become co-sleepers and I’d do just about anything to regain control of his sleeping habits. We’re a shell of the people we once were by the time we’ve tricked Jackson into going to bed and collapse on the couch. There are no words or thoughts that I’ve been able to pull from my spirit by the time 9:00 p.m. rolls around to document on this blog. Even more so, I feel as though if I’d come to the keyboard each stroke of the keys would be filled with negativity in respect to Jackson’s current "stage." All of these tantrums, sleep regression and absolute stubborness have presented challenges that I fully expected but am unaware of how to handle. No article, blog, or parental suggestion has been helpful in calming those terrible-two tendencies and pulling out the sweet, loving kid who’s still buried under all of these emotions. As everyone warns me three is worse than two, I’m on edge about the balance within our home with his impending third birthday. 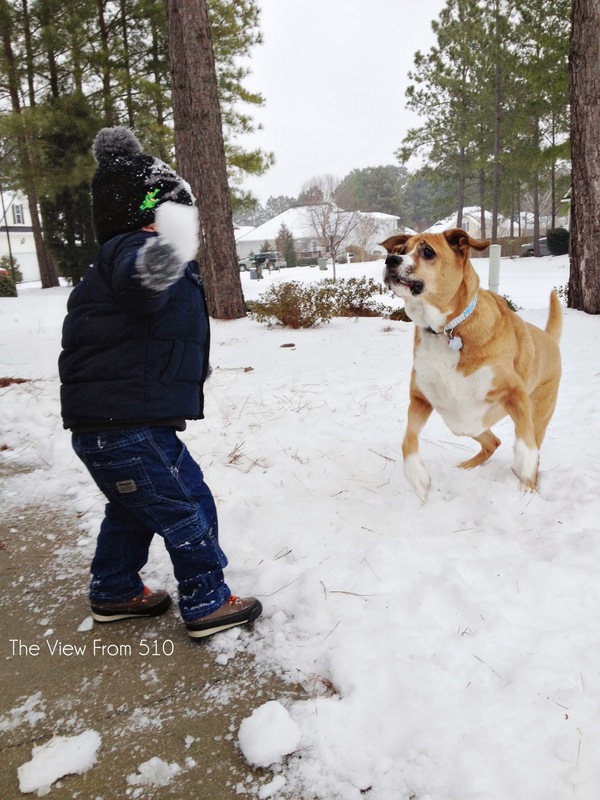 While the details above may read as your typical two-year-old, Jackson is anything but that. He’s what most people describe to me as one of those toddlers. I think they're typically called strong-willed. Yep, that’s what we’re working with. I was one. Brandon was one. And so, of course, we’ve been gifted with one of those strong-willed toddlers as well. You know, the ones who go above and beyond in exemplifying every terrible-two characteristic, who need no sleep, who are smarter than you can imagine and have the energy of a banshee. This is where you come in. I need help, obviously. 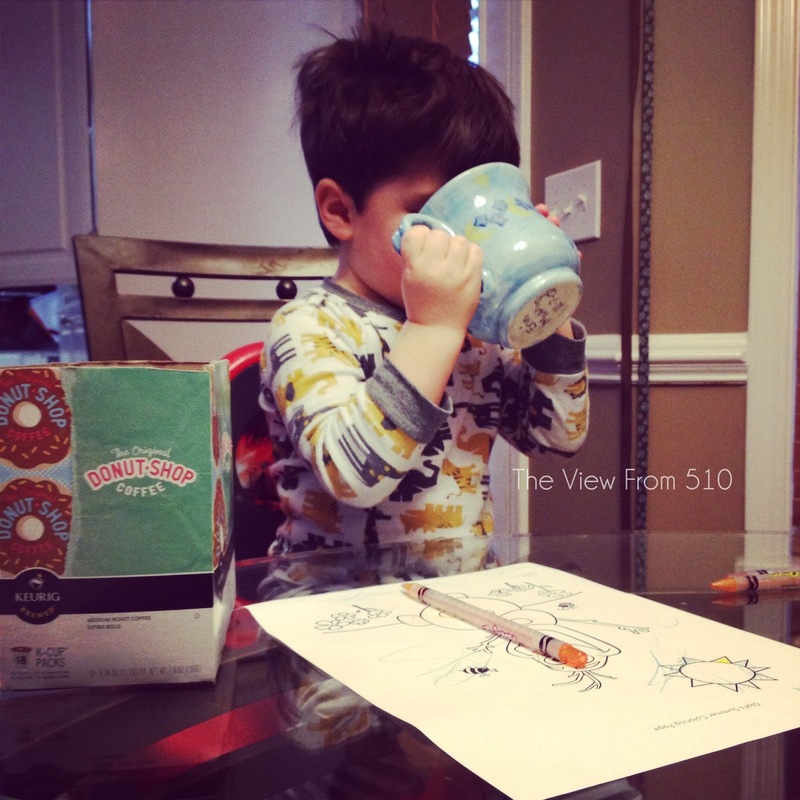 As said before, I’ve scoured the blogs and parenting sites full of discipline and sleep articles. I’m looking for in-depth tips on how to cultivate happiness, obedience and SLEEP in your toddler’s life. Please, please, please, leave book suggestions, parenting theories or sites that have in-depth discussions of discipline and/or sleep habits of 2-3 year olds. Although I feel like we’ve tried everything, I know the answer is out there and I’m hoping one of you can point me in the right direction. If you've survived or surviving mothering one of these toddlers, I’d so appreciate any insight. If you’re parenting a toddler who’s maintained their sleep habits and exhibit minimum tantrums, please share your routines or discipline ideals in the comments section as well. Or, you can give me a shout on Twitter here, my handle is @TheViewFrom510 - yes I'm serious about needing help! I know my sweet, respectful kid is still in there. In fact, he still shines through every so often, but the terrible-two-year-old and the onset of the three-nager are already winning out. The buzz around town Monday morning was an impending snow storm. It'd been three years since our last snow and this news had me feeling so ambivalent. My deadline schedule was serious this week, but it'd be Jackson's first snow! His! First! Snow! In true fashion, our state government and public schools had announced Tuesday shutdowns by the time I picked Jackson up from school Monday. I had us hunkered down with most of the snow day essentials and excited about the snow they were calling for by noon. Well, by 10 a.m. the sun was still shining and I was itching to get out. I packed us up for a quick trip to the super market. Worried the storm would hit, I got us quickly back home. We turned on Frozen, fired up the gas logs and cuddled in to wait for the snow. We waited. And waited. And waited. And waited. 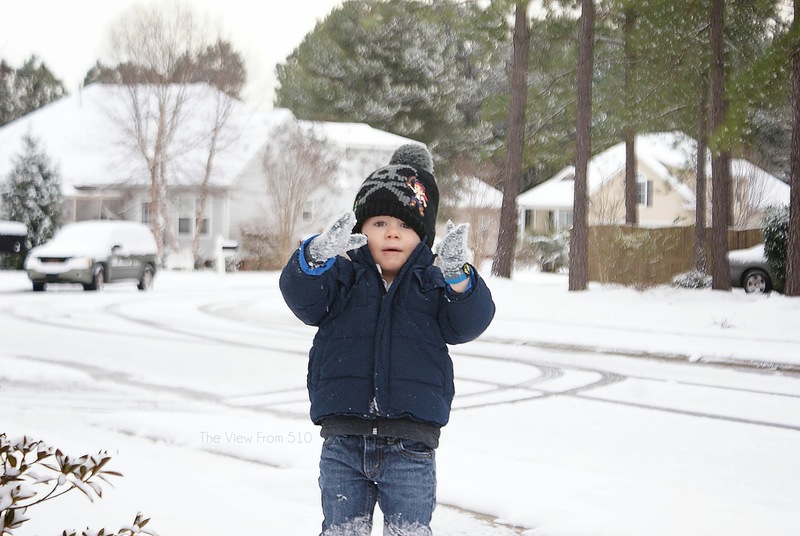 We watched Frozen so many times Jackson not only grasped the idea of snow but could not wait! I'll have you know those flurries didn't begin until ten minutes after we tucked him in Tuesday night. Thankfully though, he did wake up to a winter wonderland. Praise the Lord! 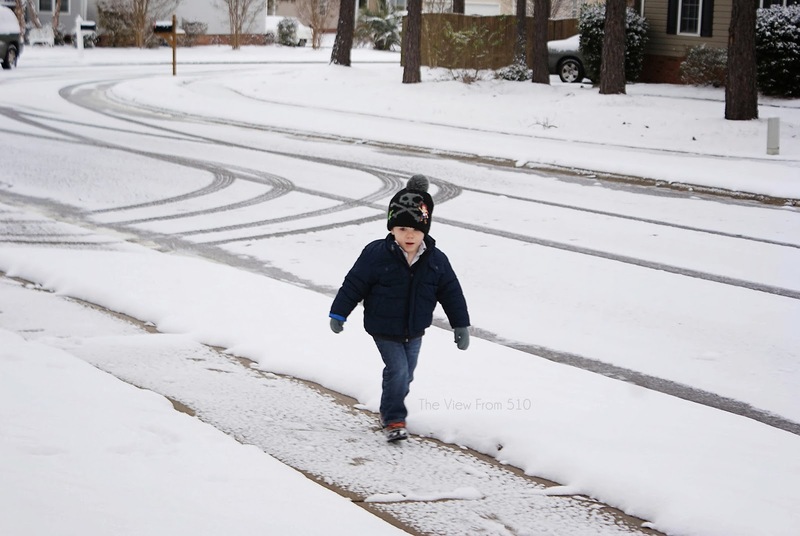 It's a special day in South Carolina when the snow flurries begin to stick to the grass then the side walks and streets. It's a rare occurrence we ring in a snow day, as I said this is our first in three years. The last time we had a single flurry, I was pregnant with J. That seems like ages ago. 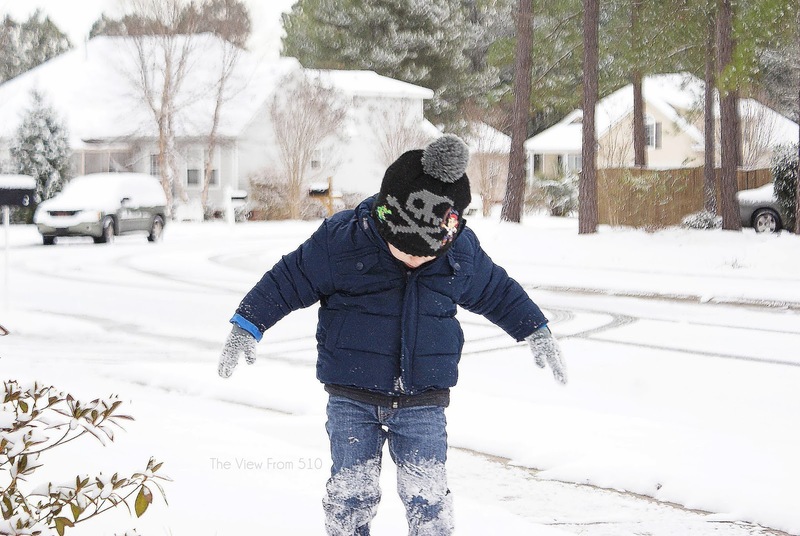 The time Jackson actually wanted to spend in the snow was minimal but so special. As a Carolina girl, my heart gets so excited about a snow day. I'm also thankful that our snow stays just days so that normal life can resume quickly. 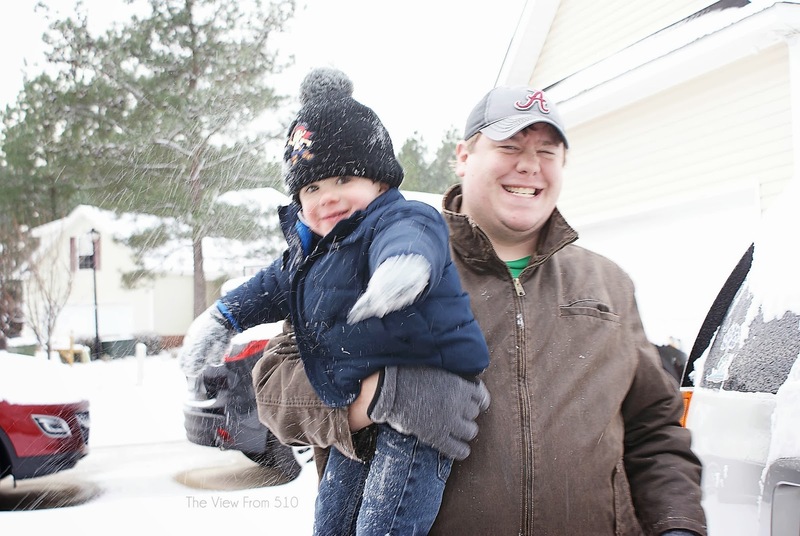 Jackson's first snow day is officially in the book! Hooray! Hope you've all stayed safe and happy in whatever weather you saw this week!